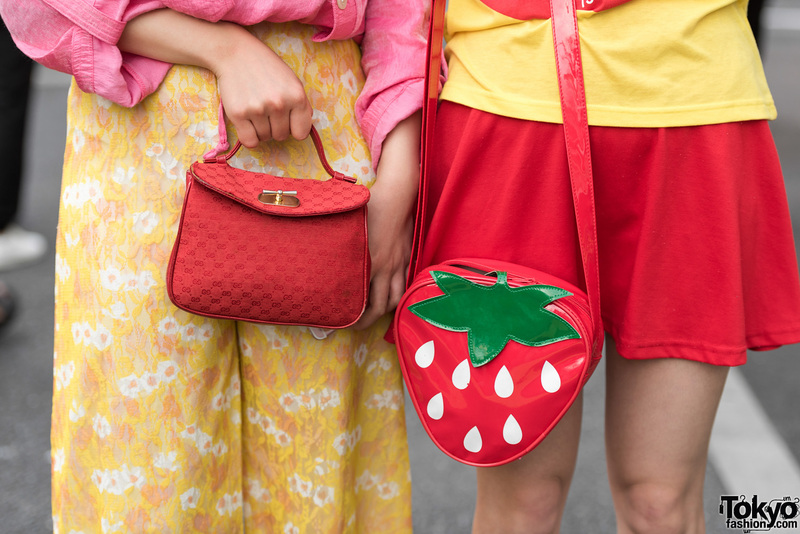 While walking along the street in Harajuku, we met 20-year-old Hikari and 19-year-old Shiori. 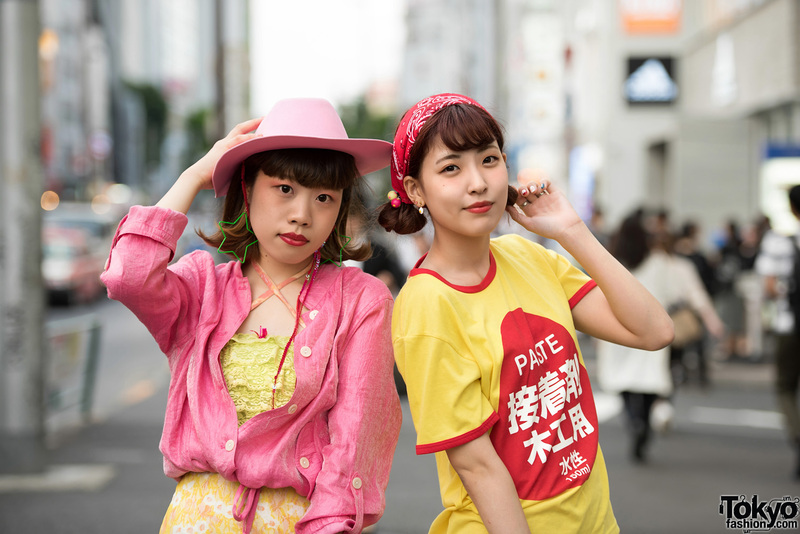 They caught our eye with their outfits in matching yellow and red colors – source mostly from Tokyo vintage and resale shops. At the left, Hikari is wearing a red Punk Cake button down shirt over a resale lace top, floral print pants from Pin Nap, red metallic heels from Marc Jacobs, and a red Gucci handbag. Her accessories – from Pompom Shop – include a pink hat and green star earrings. Hikari’s favorite brands are Punk Cake and Marc Jacobs and she likes the music of Pocket Biscuits and Judy and Mary. She is active on Twitter and Instagram. 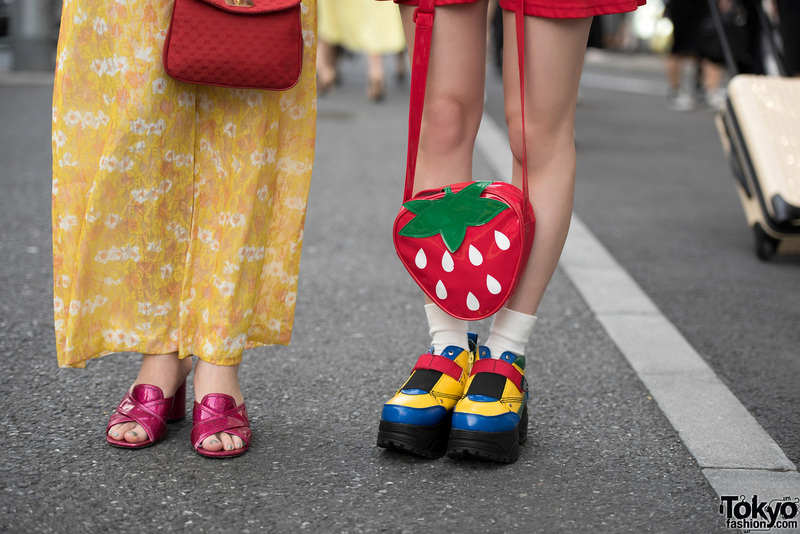 And at the right, Shiori’s look features a resale t-shirt, a red skirt from Kinji, white socks, and colorblocked platform creepers from Yosuke. She accessorized – some from Panama Boy – with a Daiso strawberry bag, a red bandana head scarf, earrings and rings. 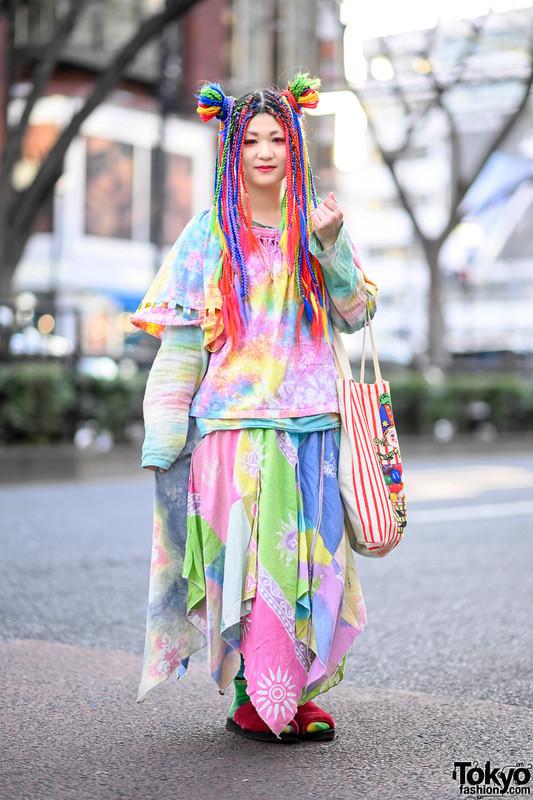 Shiori’s favorite brands are Punk Cake, Faith Tokyo and Kobinai, and she loves to listen to Charan-Po-Rantan. She is active on Instagram, follow her.